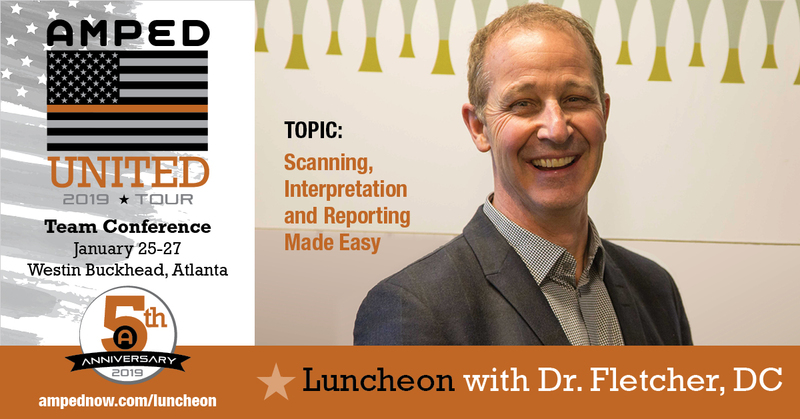 Make the most of your experience at the AMPED Team Conference by attending the Special Luncheon with Dr. David Fletcher. He will inform, educate and inspire you with the latest chiropractic knowledge while you enjoy a satisfying box lunch. Note: Seats are limited and tickets ALWAYS sell out fast. No tickets will be sold at the conference. Click here to purchase tickets now. Watch Dr. David explain why you don’t want to miss his presentation. Luncheon tickets are $35 for DCs and $25 for spouses and team members. Click here to purchase tickets. NOTE: Click here for AMPED Team Conference Info & Registration.